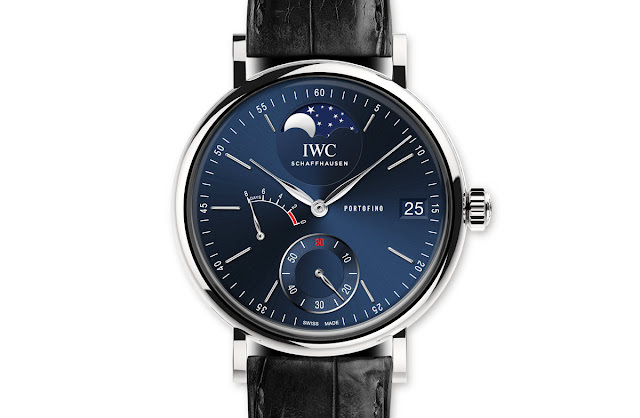 The new Portofino Hand-Wound 8 Days Moon Phase, launched by IWC last year, was very well received by the many fans of the Swiss brand. Housed in a large but well proportioned 45 mm case, the model was presented in steel with a silver-plated dial or in rose gold with a slate grey dial (you can read our presentation article here). 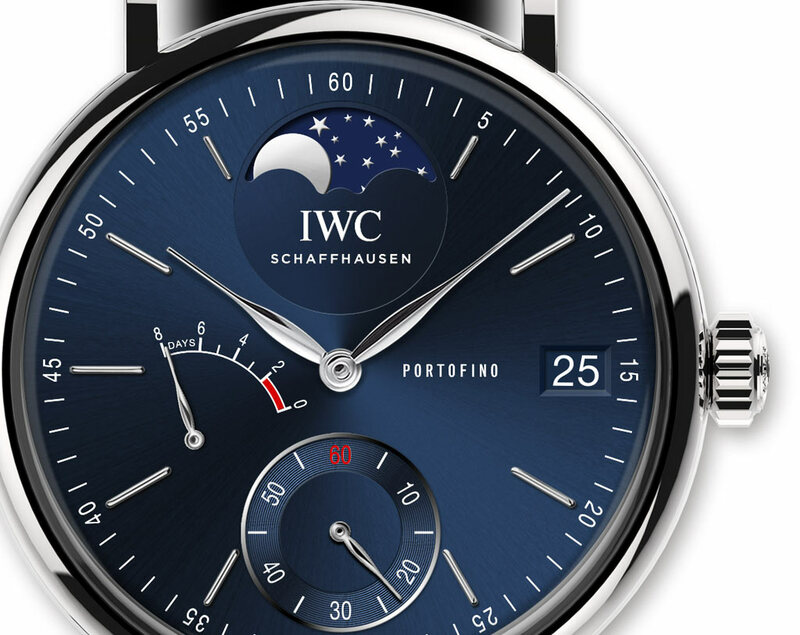 If you like blue dials and the Portofino lines, there is now the opportunity to own a truly unique piece that IWC created and donated to help finance the activities of the Italian Laureus Foundation (Fondazione Laureus Italia Onlus) whose primary focus is on fostering the personal development of children and adolescents and promoting the integration of young people who are disadvantaged for social, economic or other reasons. 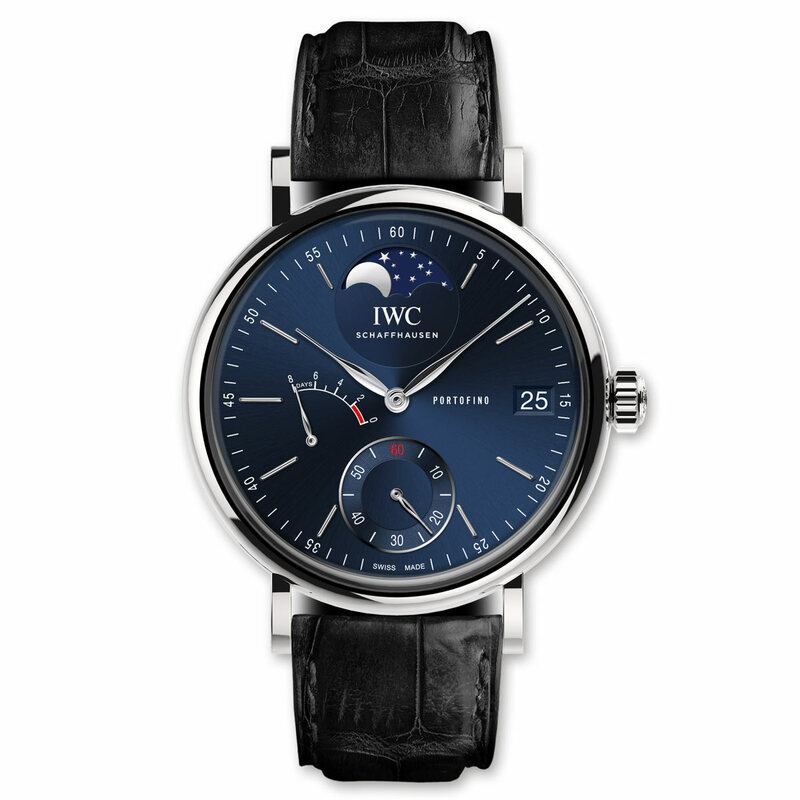 This one-of-a-kind timepiece comes in a 45 mm platinum case and the distinctive blue dial that characterizes all the Laureus special editions created by IWC in many years of partnerships. Based on the manufacture Calibre 59000 with the integration of a moon phase module that only needs to be adjusted by one day after 122 years, the Calibre 59800 beats at 28,800 vibrations per hour and offers 192 hours (or 8 days) of autonomy. Through the transparent sapphire crystal, it is possible to admire the beautifully finishes of the movement including Côtes de Genève and perlage. The watch is fitted with a black alligator leather strap by Santoni. The watch will be on sale in Milan on occasion of the Laureus F1 Charity Night that will be held on 30 August 2018, just few days in advance of the Formula 1 Italian Grand Prix in Monza. Guests will include Valtteri Bottas, Giacomo Agostini, Fabio Capello, Sean Fitzpatrick, David Coulthard, Fabian Cancellara and other sport stars. 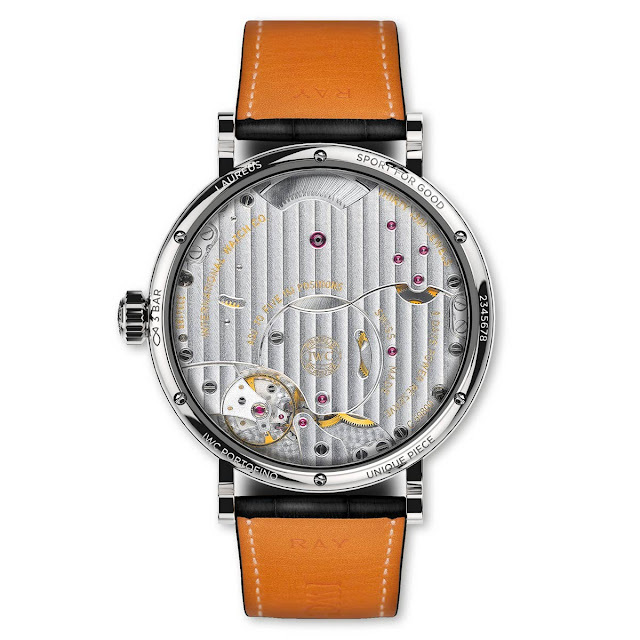 Until August 29, it will be possible to bid for the watch at this link. IWC - Portofino 8 Days Moon Phase, unique piece for Laureus Charity Night. The watch will be on sale in Milan on occasion of the Laureus F1 Charity Night that will be held on 30 August 2018, just few days in advance of the Formula 1 Italian Grand Prix in Monza.